It’s 2016 and the Hartford Whalers’ iconic logo continues to be the subject of much discussion and fanfare. 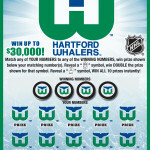 Check out ESPN’s Uni Watch Friday Flashback: Why Hartford Whalers’ logo endures. Read the full story over at ESPN.com.